Barcelona line-up: Valdés, Montoya, Puyol, Bartra, Daniel Alves, Song, Fabregas, Xavi, Neymar, Lionel Messi, Pedro. It was a game of mixed feelings in Sevilla, as Barça left the Benito Villamarín stadium with the 3 points, but knowing their main star Lionel Messi had picked up another injury. Barcelona defeated Betis by 4-1, securing the 3 points and extending the gap to Atletico Madrid, who tied at 1 goal against Villarreal. Lionel Messi‘s new injury is a muscular problem on his left thigh and according to the latest medical reports, he should be out of the competition for the next 2 months. 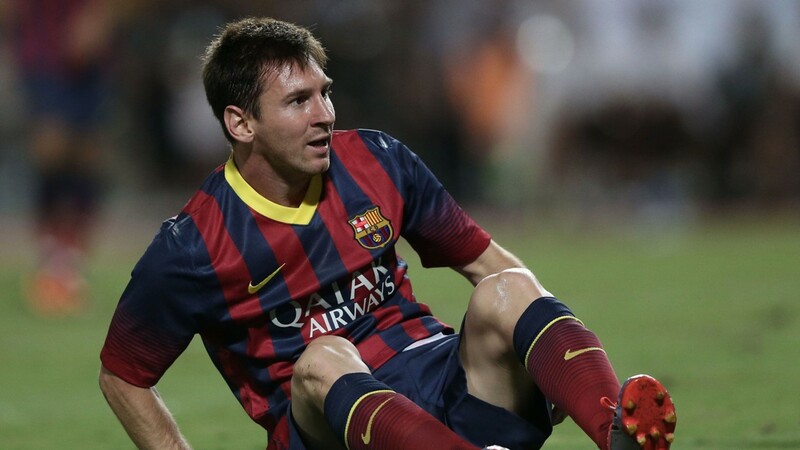 This means Messi will most likely only return to the football fields by January of 2014. 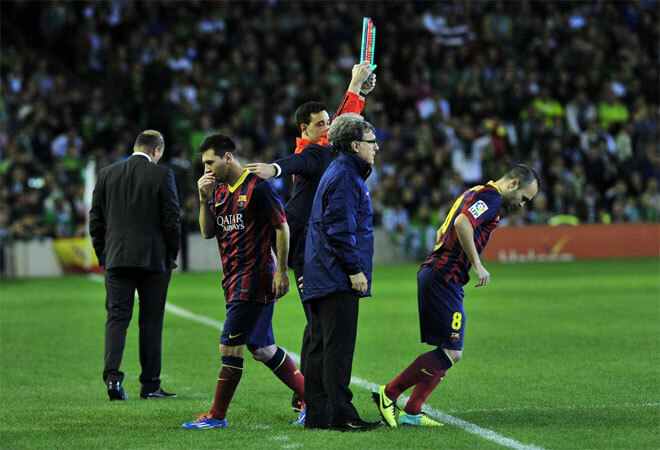 Messi left the pitch in the 21st minute of the first half, after doing a sprint when leading a counter-attack. 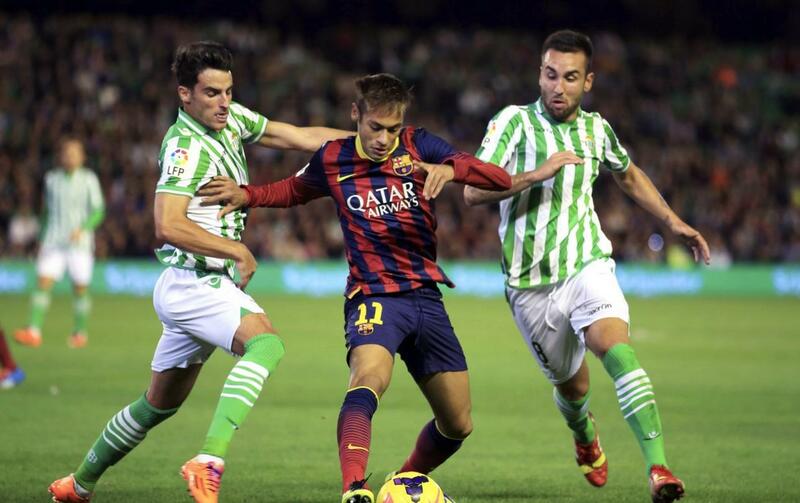 Nevertheless, Tato Martino‘s men still managed to come up with a victory against Betis. The first goal was scored by Neymar shortly after the first half of an hour, when the former duo from Arsenal FC, Song and Fabregas, combined very well and Cesc finally assisted Neymar for an easy empty net finish. 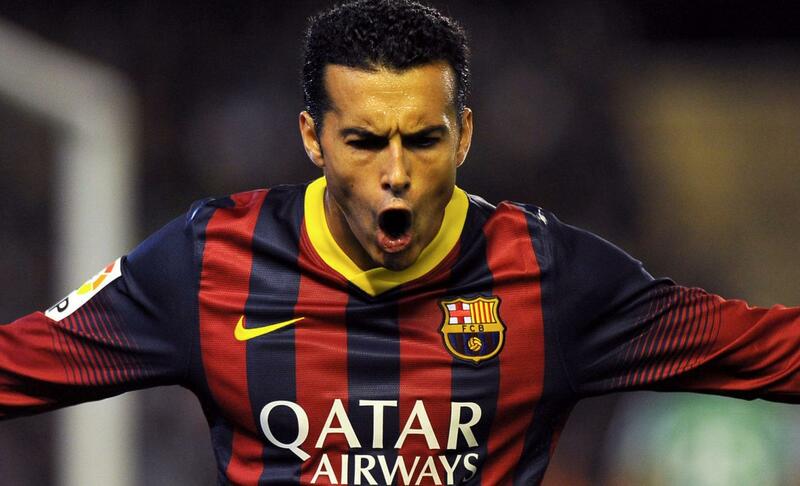 The 0-2 took place straight after and this time credit should be handed almost entirely to Pedro. The Spanish winger exploited a huge gap in Betis‘s defensive line and with so much space ahead of him to run and chase the ball, he set up himself with a 1-on-1 situation where he easily struck the ball past Guillermo Sara. The 0-3 came on already with the second half being played, and it was the result of a brilliant pass from Andés Iniesta, who found Montoya breaching into the back of Betis‘ defense, just before he assisted Cesc Fabregas for an easy finish without opposition. Barça was in total control of the game and would still get to the 0-4 after a good header finish from Fabregas, who made the second on the night just before he had also to leave the pitch due to some physical problems on his right leg. Betis still found time to score their honor goal, but they’ve only done it through the penalty-kick spot. The goal obviously didn’t change the course of the game and Barça walked away of Sevilla with a 1-4 win. 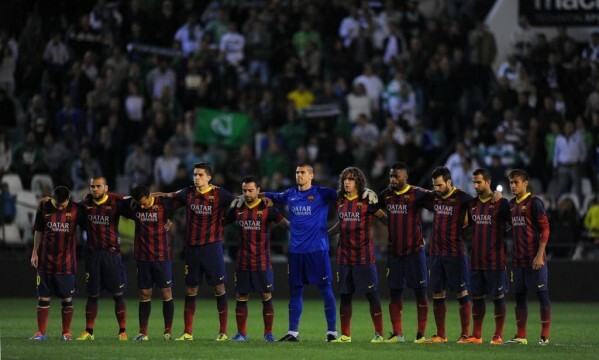 Barcelona‘s next game for La Liga is only on the 23rd of November, against Granada, at the Camp Nou. We’ll now go through a 2-week break for international games.